Beautiful American singer Terry McKay (Irene Dunne) is traveling aboard a ship across the Atlantic Ocean when she meets womanizing French painter Michel Marnet (Charles Boyer). Both are already engaged to other people – Terry to Kenneth Bradley (Lee Bowman) and Michel to Lois Clarke (Astrid Allwyn) – but they find themselves falling for each other despite their existing romances. Upon arrival in New York after spending nearly two weeks together on the ship, Terry and Michel make a date to meet each other six months later at the top of the Empire State Building. The date is broken, however, when Terry is struck by a car. She survives, but she may never be able to walk again and decides to let Michel think that she stood him up rather than let herself become a burden to him. Leo McCarey directs 1939’s RKO romance, Love Affair. McCarey wrote the story with Mildred Cram, and it was then adapted for the screen by Delmer Daves and Donald Ogden Stewart. The story has been adapted into three more films: 1957’s An Affair to Remember starring Cary Grant and Deborah Kerr, 1994’s Love Affair starring Warren Beatty and Annette Bening, and Bollywood’s Mann (1999). It’s difficult to watch Love Affair without comparing it to the phenomenal (and more well-known) 1957 version. This 1939 release has fallen into the public domain, while An Affair to Remember has received numerous proper releases and is considered one of the greatest romantic films of all time. 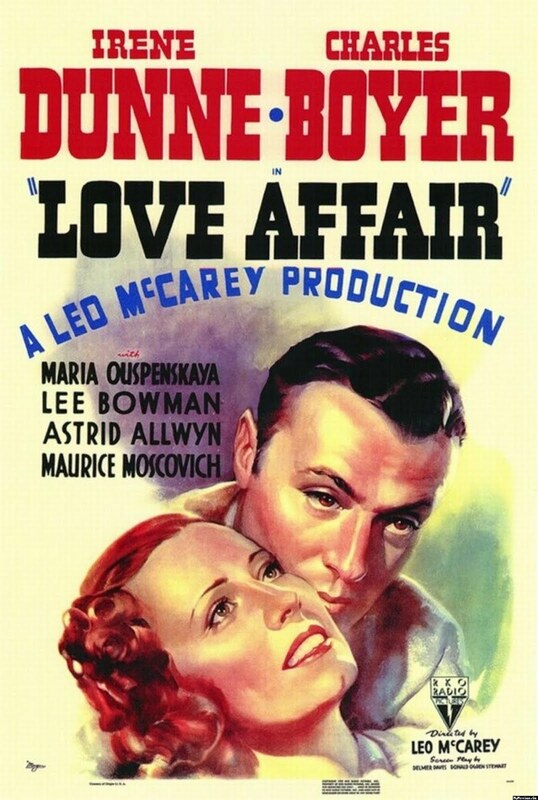 Ironically, the 1939 version of the story received six Oscar nominations to An Affair to Remember‘s four. 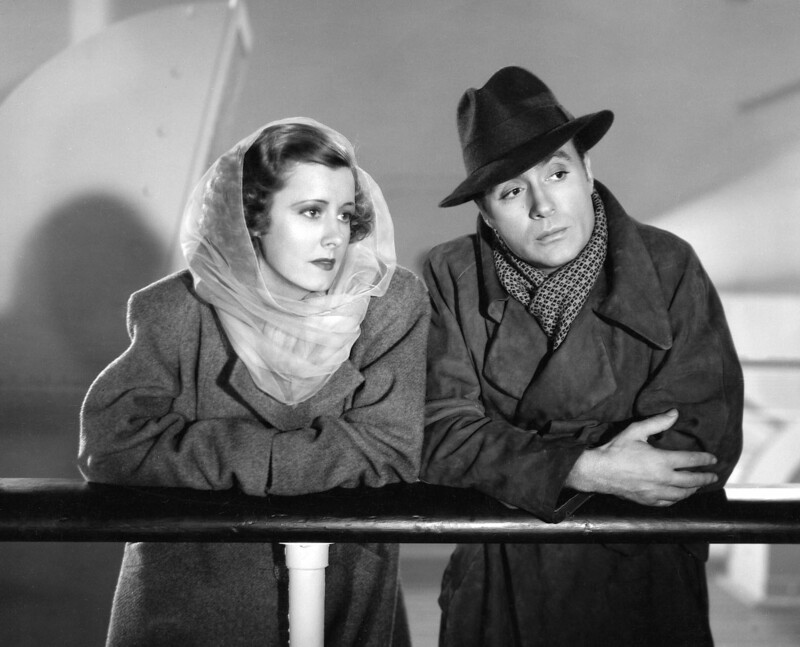 Irene Dunne and Charles Boyer are reported to have both loved this film and considered it their best work. The two do have pretty good chemistry, though not as good as Grant/Kerr – and can you imagine if the film had been made with Grant/Dunne, who made three great films together? Personal dream casts aside, this film does take hold of the viewer, though it starts out slowly. The early scenes in which Terry and Michel are falling in love reminded me very much of 1951’s Mr. Imperium, which is similar in plot. These early scenes with Dunne and Boyer are pleasant and cute, but the viewer isn’t terribly invested in the relationship. The film eventually takes a turn from cute romance to tearjerker, which you’ll know if you’ve seen An Affair to Remember. There isn’t quite as much emotional punch here as there is in AAtM, but Dunne’s performance makes her character seem so genuinely kind and sweet that the audience can’t help but sympathize with her. Dunne is wonderful here, delivering the film’s best performance. She’s absolutely captivating on screen, her character is likable, her performance is solid and she brings an emotional charge to the film. Also a positive is the music. Dunne gets to show off her pipes a bit, but the real stunner is the song “Wishing,” sung to Dunne by four girls who live at an orphanage and learn music from her. The song is beautiful and more than earned its “Best Original Song” nomination. Nothing like a soppy love story. The 1994 remake was Katharine Hepburn’s last film. Of course, I’ve seen the Cary Grant version, but this post makes me want to see the Irene Dunne version – I haven’t seen enough of her films I think. I second the idea that a Grant/Dunne version of this would have been amazing! They were perfect in all three of the movies they made together. It’s been ages since I’ve seen An Affair to Remember, but Love Affair is a perfectly good film in its own right. I know I’ve come to this post awhile after it was written but I saw this featured at the end of one of your other posts and was excited to see a post about “Love Affair”. I saw this version before I saw AATR and definitely prefer the original. It’s not perfect but it’s one of my favorite romance films! There are many scenes that really touch me, especially the ending when Boyer’s character realizes what’s happened to Dunne’s character. I love Boyer and Dunne together, although she and Cary Grant would’ve made a great pair, as they made a wonderful pair in their other movies. I wonder whether my opinion would differ had I seen this version first. Probably not — I’m the first to admit that I have a major Cary Grant bias, haha. I enjoy both films, though, and agree with you that Love Affair has a lot of touching scenes!